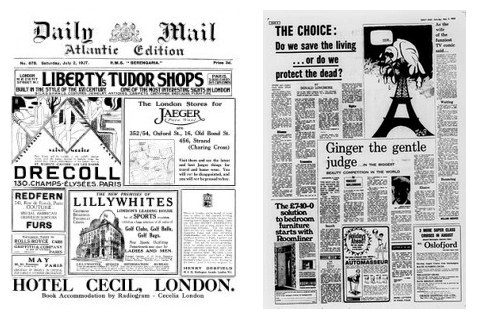 Cardiff University students and staff now have access to the Daily Mail Historical Archive. This contains the searchable digital archive of the Daily Mail from 1896 to 2004. 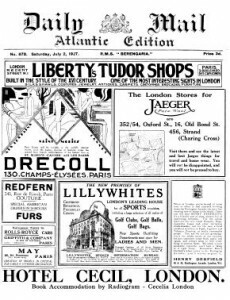 As well as providing access to the regular edition, the archive also contains the Atlantic Editions, printed on board the transatlantic cruise liners between 1923 and 1931. Access this database via the Journalism, media and culture information resources section of the Intranet under the ‘Newspaper archives‘ tab.